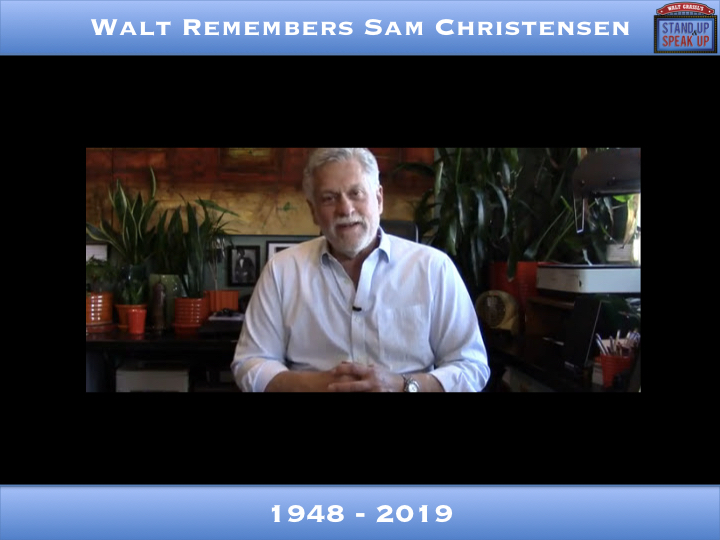 Sam Christensen had a gift for helping people find the intersection of how they see themselves and how others see them. By sharing this gift, he improved the quality of my life and the lives of many others. Sam passed away earlier this month. To honor Sam and remind myself of some of the many lessons I learned from him, I will play cuts from our Oct 1, 2015 interview. I will add my thoughts to Sam’s. Thousands of people had sought out the workshops of the groundbreaking process Sam created. Movie-stars, CEO’s, political candidates and leaders, authors, news anchors, journalists and countless working performers credit his innovative system with their increased self-confidence, personal ease and career growth. Listen in and see why.